when you have an event or game, maybe you’d like to do something extra. something to make the atmosphere energetic and exciting. 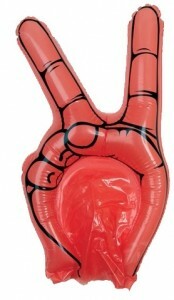 these inflatable cheering sticks might just be your answer. 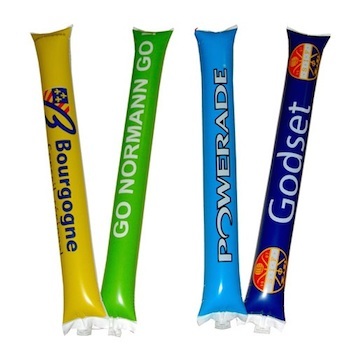 when you inflate these cheering sticks and bang them together they make a loud noise, ideal for a big event. they’re meant to create an even better atmosphere, in for example a stadium, or to cheer on your team. it will definitely add some color and excitement to your event. kids will love these, and the colors, logo or catchphrase of your club will be shown to everyone, and will have a motivational effect. these sticks are also very suited for selling to supporters in your stadium or club. quick delivery- about 1 week- is possible if you order them without print. it’s possible to have them printed in multiple colors and on both sides.